I have to admit that I'm a sucker for the candy-coated harmonies of sunshine pop, but the happiness, and often cheesiness, is typically too overwhelming for regular listening. 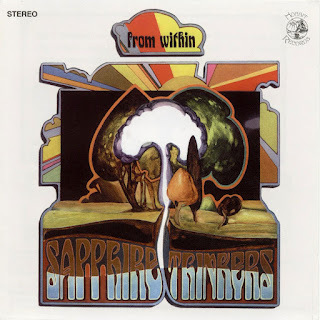 Sapphire Thinkers definitely has the sunshine harmonies right up front, but this is 1968 and starting to get a little late in the game for AM radio rainbows. Perhaps prepping themselves for an afterlife on AOR, (which unfortunately never happened), the groop has a wonderfully beefed up command of their instruments, giving the music some power with shades of acid rock and harder psychedelia. Yeah, this is still a confectionary, but there's a bit that you can sink your teeth into. These fine fellows (and lady) seem to be at their grooviness while riding sunshine harmonies and fuzz guitar utop an organ groove. Fortunately, we get plenty of that right up front with "Melancholy Baby," and a few more heaping servings of the vibe on "I Feel A Bit Strange," "Not Another Night," and "Blind With A Borrowed Light." There's a fine interlude of trippy lite-psyche with the title track and "I Got to You," along with a wonderfulyl half-assed hippy jam out on "Doin' Alright." The only time when the cup of cheese doth overrun may be on "Get Along Boy." We're coming out of the synthesized aether for you city folk and this is a fine slab of neglected psychedelic sunshine pop. 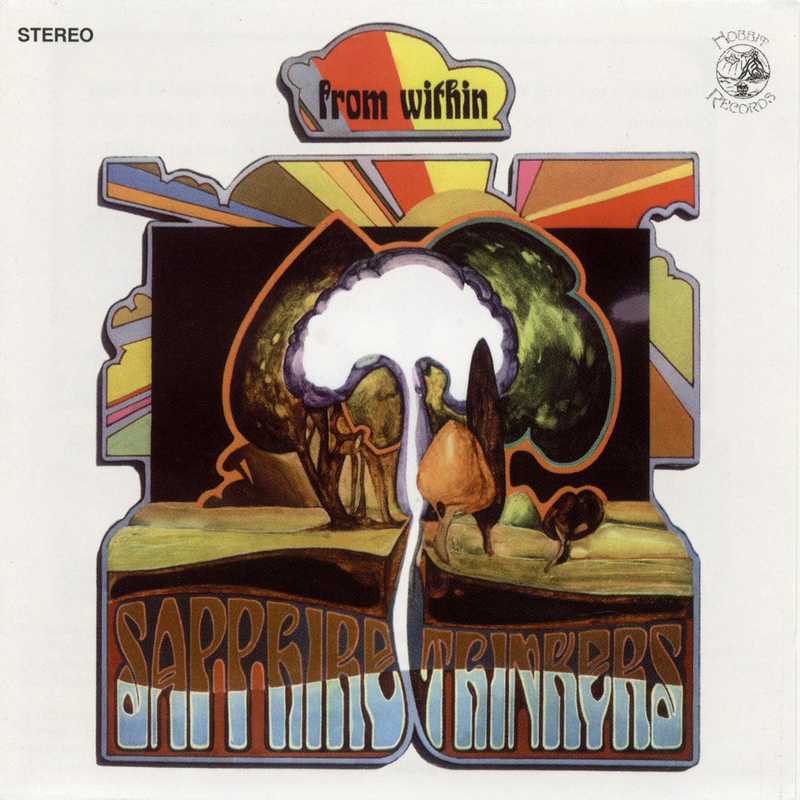 The harmonies shine, the lead guitar is fuzzed out, and man, they've got a big organ!!!... wait, that doesn't sound quite right. 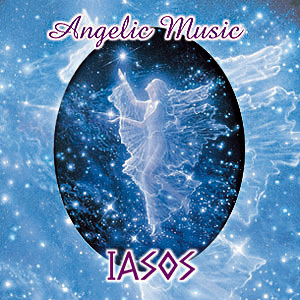 We'll send our spirits a little deeper into the aether of transcendental existence with this undeniably early new age effort from Iasos. Now, I know 'new age' tends to be a bit of a dirty word, especially for us music heads, but this release has the fortune of coming out at magic moment when there genre was pretty much fully formed, but analog synthesizers and tape hiss dirtied up the sound's pristine face a little bit. This really helps to humanize the music in a way that would end up mostly lost once John Tesh fired up his arsenal of keyboars, spewing them out onto sterile digital gloss. 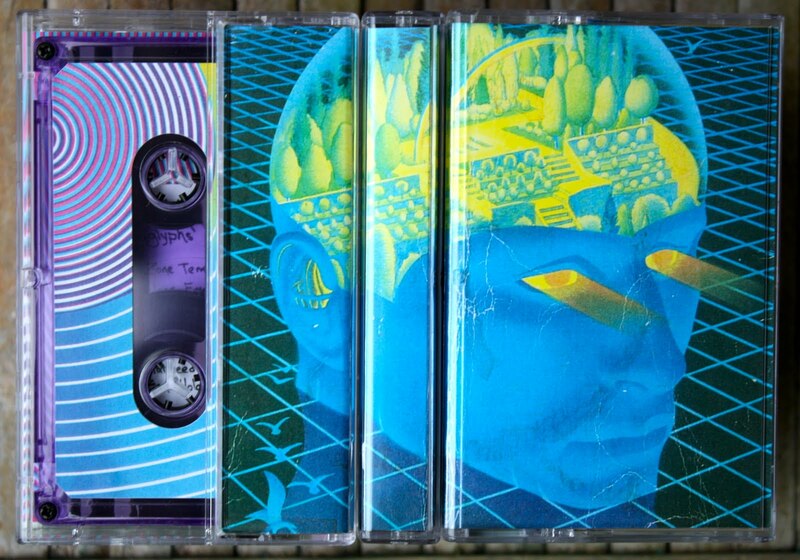 Not so here: the tones will relax you, and perhaps mystically lobotomize you if you're into that sort of thing, but they also sound like they're oozing out of the misty primordial forest, and not sproinging off of the D.A.T. (anyone remember those?) of a middle-aged L.A. power hipster with sunglasses and a pony tail. Still, you'd best ignore the cover art, which seems to have come from a Shopping Channel special on crystal angel sculptures. The tracks are split right into two thirty minute long album sides. You can care that the track titles are "The Angels of Comfort" and "Angel Play," but knowing that probably doesn't matter for a whole lot as the music's spinning. The sounds will greet your ears with giant pads of synthetic string sounds and the occasional babbling brook. My hook for the whole affair was reading the notion that some of those who have had near-death experiences have apparently equated this album with the sounds of moving on. That's got to make the thing worth a listen in my book. Once upon a time, I rippity rapped a bit about an older Iasos album on this blog. Really, I've still got to give that one the distinction of being better, but I'd admit that this one is a little more profound. Perhaps a touch more mind expanding. It's straight out of the short, halycon era when 'new age' might have ended up with a place in the lexicon of groovy instead of the dustbin of the Nature Company. 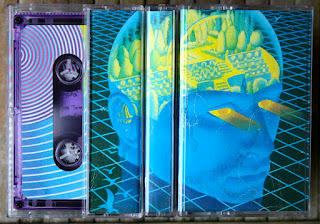 Here's another spun sliver of ambient cosmic gold from the world of hissy cassette tape experiments. Transmuteo trades in some extremely chill sounds, for the most part, this album sends the synthesized sequences to the background and pushes forwards with environmental and found sounds. While there is a fair amount of interesting sonic sculpturing going on here, the main effect is best experienced as a sonic jaccuzi. I bet the Dude could've thrown this one in his bathroom cassette deck once the songs of the whales had ended. Although a few intentional tape glitches humanize the mix a bit, most of this just glides through like mental butter. "Zone Temple" introduces us to a slow, synthetic sequence that serves as musical DNA and that the album will regularly revisit. So, we'll just cut to the chase and target "Lightworker's Meditation," which also features a variation of the main motif. The star attraction of this one, however, is the exceptionally trippy voice sample, giving meditation instructions to, uh, lightworkers, and insisting that we fill our upper tetrahedrons with stuff like indigo light. What is a lightworker, anyway? Are they just replacing street lamps or dancing the dimensional dervish twirl on another plane of there? Can I be a lightworker? The "Boards-of-Canada-on-downers" vibe drifts along into "Starseed," the next track as well. But the whole album drifts along nicely, really. Sometimes we get a touch of gamelan like in "Zion Hologram." This is one of those discs geared at those of us looking for that out-of-body experience. There's very little here that you can really gnash your teeth into, but if you're going to be into this sort of thing, that's probably the way you want it. Transmuteo brews a light blend that simply wafts through the starshone tropical breezes. I'm doing groovy, but many of the links are not. I'll star repairing links next week (out of town now), but if you're a reader of this blog and have been charmed by a certain album, I'd much appreciate it if you could supply a link in the comments for that review. I've gotten back up a few of my recent Glaze of Cathexis ('I Often Dream of the Apocalypse' and 'Underground Sound') and Damaged Tape ('The Floating Existence' and 'Ambiguous Reality') albums, as well as some stuff like Mohave Triangles, Dementia and Hope Trails, Akiko Nakamura, and Stone Fox since those albums just happened to be on the flash drive in my backpack. I've been music blogging long enough to know that this stuff happens, so keep it zen and we'll continue choogling along. For the time being, dig on the reviews.